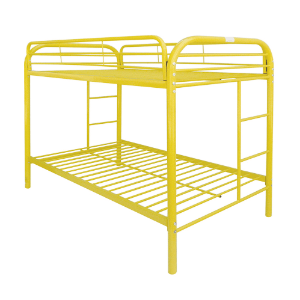 With metal tube supports and full length guard rails, this bunk bed creates a safe place for kids. Added built-in ladders provides easy access from bottom to top bed. Also they have other colors available to provide more choices.